Minnesota has a common border with Kentucky and is adjacent to Belgium and Spain. No, global geography hasn't shifted -- or has it? Someone said that this conference "smashes" the entire world into one room so they have to talk to each other. Actually, there's no coercion needed. People mill around McCormick place looking for the person they emailed with last week, only then they were separated by an ocean. 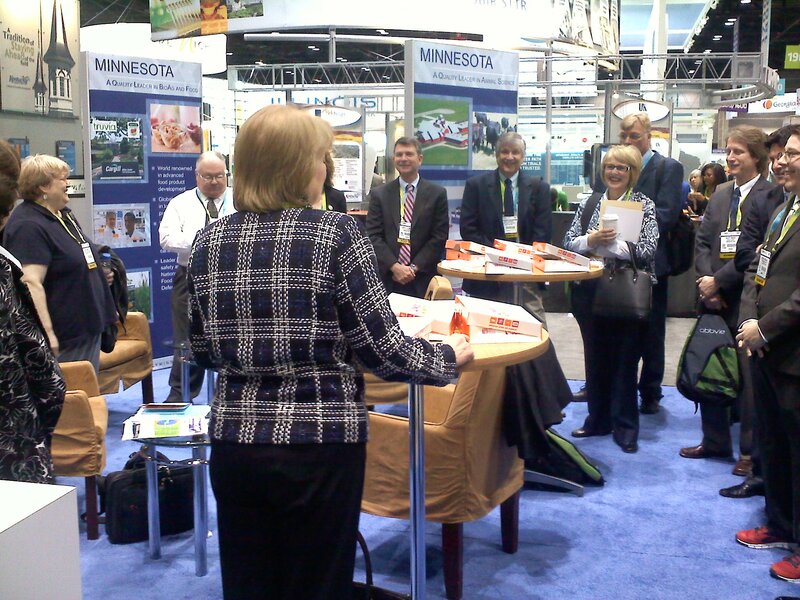 Officials from Minnesota's Department of Employment and Economic Development welcomed BIO delegation members from the state this morning, shortly before they opened the gates to the exhibit hall. After introductions, everyone knew their job -- whether they're here to point for their business or city or economic development group, everyone knows they are part of a team in this pavilion -- to advance the fortunes of the state by attracting investment, businesses and potential partners. They take turns at the visitor desk, greeting people who stop by; they hand out literature - not just their own; and they capture contacts and business cards for each other if someone has slipped off for lunch or coffee. 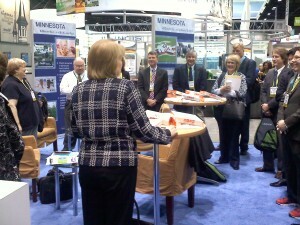 It's a great example of teamwork, which, in itself is a testimony to Minnesota.